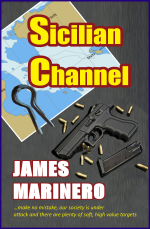 This highly topical technothriller blends mystery and suspense in multiple plotlines. Vivid characters abound in sharply researched Mediterranean settings with technology, cyberwarfare and nautical content, all in the context of international politics, the upsurge of Islamist terrorism and Chinese expansionism in Africa. There are plenty of soft terrorist targets – and there is plenty of weaponry available after the fall of Gadaffi and the chaos in Libya. Steve Baldwin has sailed to Crete in his search for a quiet life, still licking his wounds after a near-fatal assignment in the Red Sea. The Royal Marines had been his family, but now he is alone – until he meets Helena, a sultry Greek waitress with many secrets. 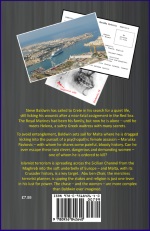 To avoid entanglement, Baldwin sets sail for Malta where he is dragged kicking into the pursuit of a psychopathic female assassin – Maruška Pavkovic – with whom he shares some painful, bloody history. Can he ever escape these two clever, dangerous and demanding women – one of whom he is ordered to kill? Islamist terrorism is spreading across the Sicilian Channel from the Maghreb into the soft underbelly of Europe – and Malta, with its Crusader history, is a key target. Abu ben-Zhair, the merciless terrorist master planner, is upping the stakes and religion is just one lever in his lust for power. The chase – and the women – are more complex than Baldwin could ever have imagined.